What is the definition of a sales opportunity, or in the world of staffing, a qualified job order? There is no universally agreed upon or correct answer. However, a few clarifications are needed because the concept of a qualified job order or sales opportunity impacts how salespeople and recruiters spend their time, sales-recruiting alignment (if you can’t agree on what a qualified opportunity is you will struggle to scale your business) and your ability to forecast sales. Until recently, salespeople could generate sales leads on their own, lead and even control their prospects through the entire sales process. Salespeople were involved early in the customers research and diagnosis process because the salesperson possessed one thing the customer needed but didn’t have, information. The salesperson could use that information as leverage with the customer to influence the whole sales process. Unfortunately times have changed. 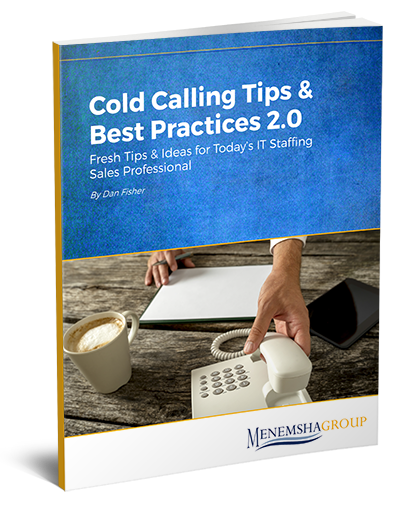 Many IT staffing sales professionals have a hard time deciding which accounts and which contacts to call on and pursue. Even more agonizing is trying to decide how much time to invest pursuing any one contact or account because salespeople don’t know what the return will be on their investment of time and energy (pursuing the account/contact). As a result salespeople often spend too much time pursuing the wrong accounts and contacts (very frustrating) or they walk away from “good” accounts too early in the process only to discover months later their competitor has 20 consultants billing. This is one of those things that separates top performers from average performers. Average performers waste days, weeks and even months spinning their wheels on prospects who never buy yet top performers seem to have a knack for selecting the "golden goose" from the haystack. As a result top performers experience a quicker, shorter sales cycle. How do they do it? They execute the sales qualifying call. Did you know that Steph Curry (5x NBA All-Star, 2x Time NBA champion, 2x NBA MVP) shoots around 2,000 shots a week: He takes a minimum of 250 practice shots a day, plus another 100 before every game. 100 before EVERY GAME! Now that is commitment to mastering your craft! Having now written several hundred blogs on everything from sales prospecting, sales leadership, employee training and how to close deals, I decided to aggregate some of the more interesting and surprising sales statistics I've churned up over the years. I share them with you in hopes they may inspire you to improve the way in which you sell. The topics include cold calling, sales process, sales training, sales methodology and much more. Enjoy!